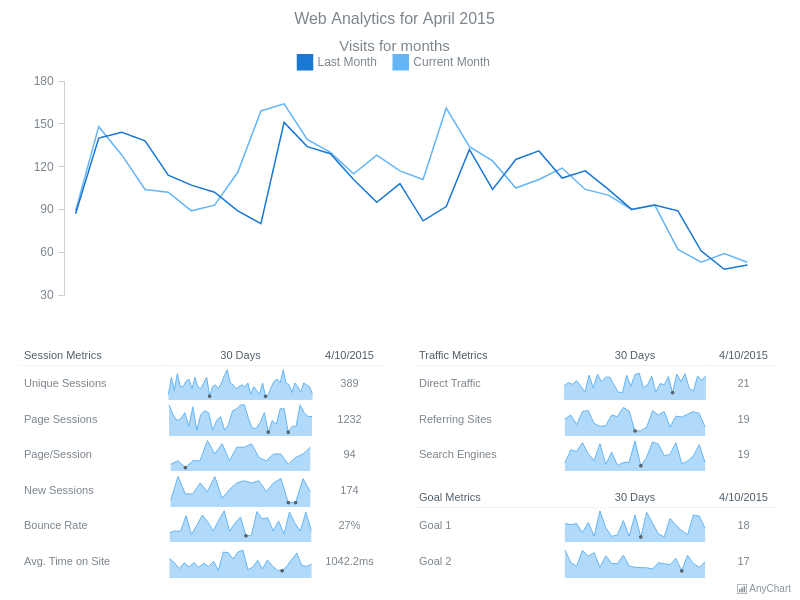 AreaWeb Analytics Dashboard with a line chart and several sparklines area charts, Session Metrics and Traffic Metrics are shown. 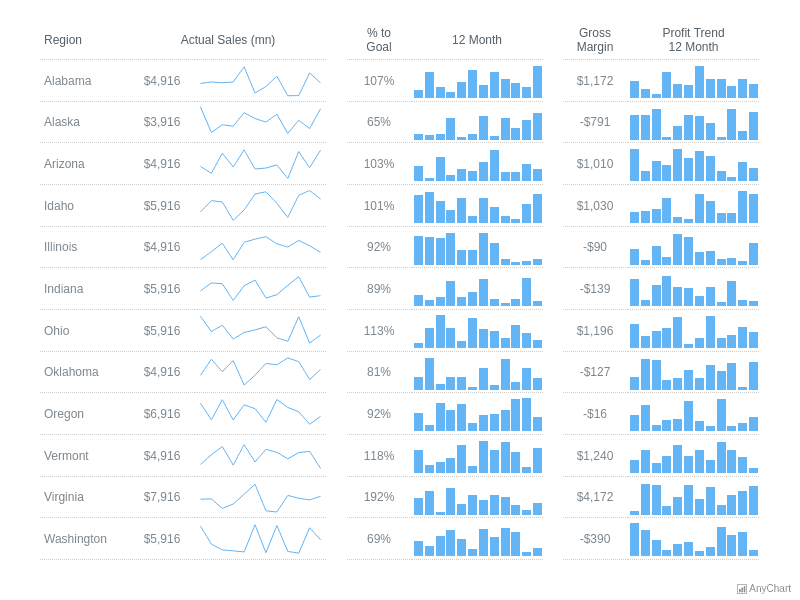 ColumnColumn Sparkline Dashboard with information on monthly sales in several states. 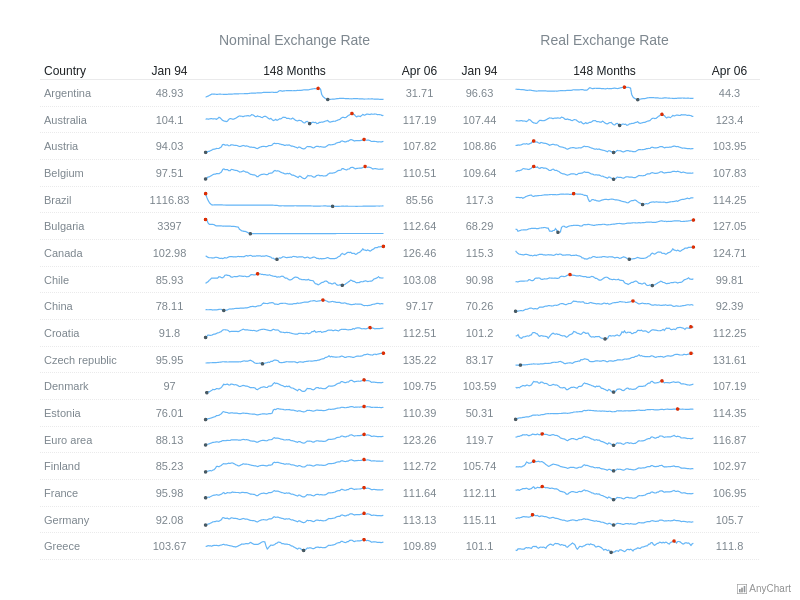 LineExchange rates dashboard, with minimum and maximum of each sparkline marked. 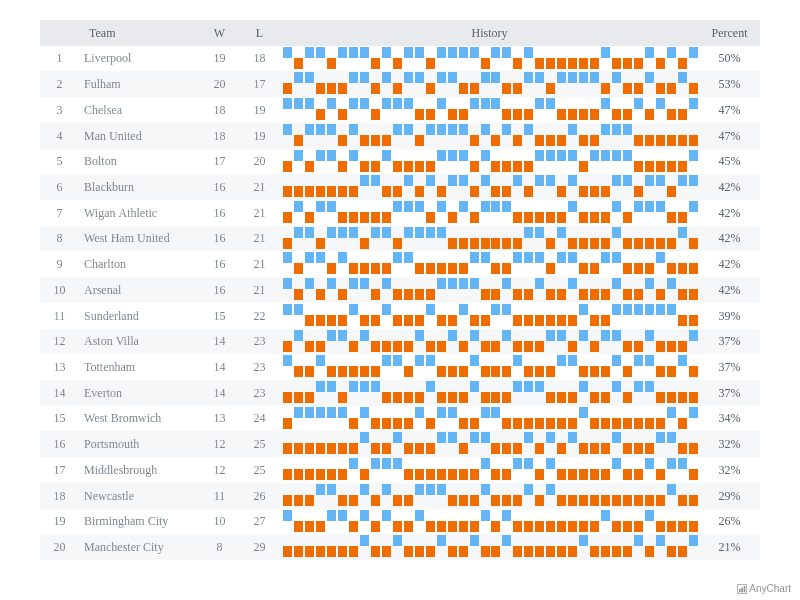 WinLossSparkline dashboard with information on several English football teams, dashboard shows if a team won, lost the game or there was a tie.